Relaxation is the new luxury, and our Pure Serenity at The One offers both in abundance. End the day with a luxurious soak in your own private medicinal spa bath featuring medicinal herbs and teas. Relaxation is the new luxury, and our Pure Serenity and Relaxation Tour offers both in abundance. Guests will be brought to The One, a historic wellness spa that once acted as private retreat for visiting dignitaries such as Margaret Thatcher and Mikhail Gorbachev. No longer a private retreat, The One is now open to those wishing to experience beautiful classical Chinese architecture surrounded by enchanting scenery. You’ll soak in a tea-infused medicinal bath in your private suite and have full access to everything The One has to offer, from perfectly manicured landscapes, Chinese gardens, traditional architecture and multiple spa treatment packages. 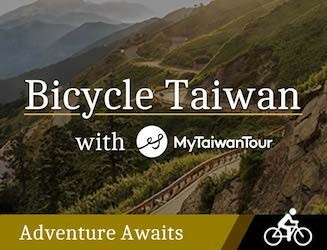 In addition to your day at The One, you’ll also enjoy a traditional tea tour and a delicious, healthy meal at a fantastic, secluded restaurant located in the foothills of Taiwan’s Central Mountain Range. Please note that while this experience is designed for women seeking relaxation, discerning gentlemen are welcome as well. You’ll leave the city behind as we head into the foothills of Taiwan’s central mountain range, stopping first at a traditional tea factory showcasing the best in Taiwanese and Japanese teas. After sipping tea by a tranquil pond, we’ll have lunch at an exclusive restaurant before continue to The One, a historic wellness retreat where Qing dynasty style buildings sit gently in acres of sublime rolling hills. You’ll spend the rest of the day, evening and night surrounded by sublime beauty and relaxing with medicinal spa baths and music. Cancellation made less than 30 days prior to clients’ arrival day will charge 10% of full payment. Cancellation made less than 14 days will charge 30% of full payment. Cancellation made less than 7 days will charge 100% of full payment. 44 people have browsed this in the last week.